Happy Monday beauties! I hope you all had a wonderful weekend! Today's post is a long one since it includes a few reviews and a giveaway at the end so please hang in there! Eddie Funkhouser is a well known makeup artist. He has created his own makeup line comprised of high quality cosmetics with designer brand quality formulas at affordable prices. 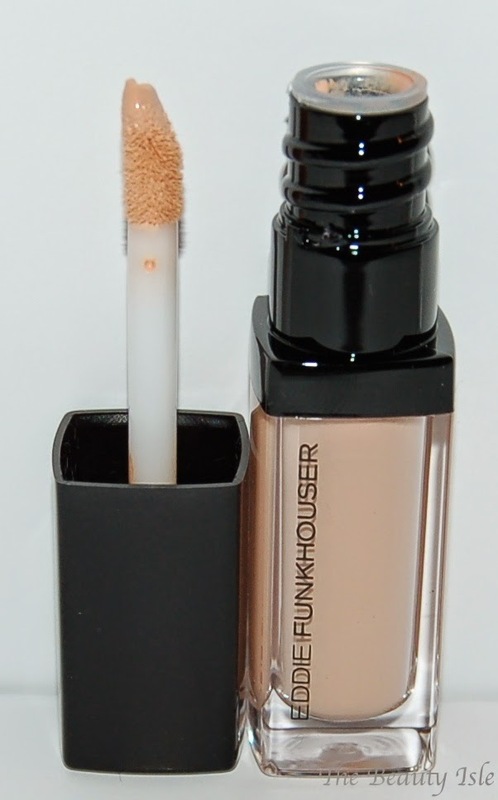 I first learned of Eddie Funkhouser and his cosmetic line during a Twitter chat. He participated and interacted with each of us, answering our general makeup questions as well as our questions about his own products. He was so approachable and knowledgeable! Eddie sent me a few of his products to try out. 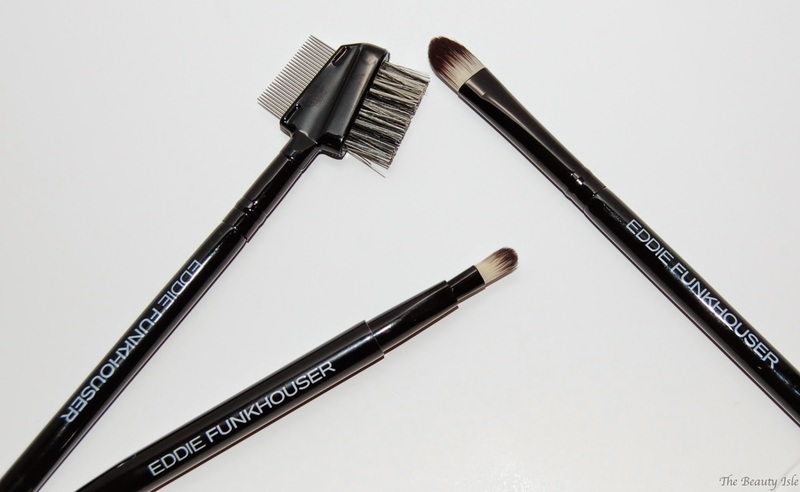 Eddie's most recent product launch is his professional brush collection. It includes 14 hand crafted brushes that like all of his other products, you can get for an amazing value. This is the smallest brush in the photo below. 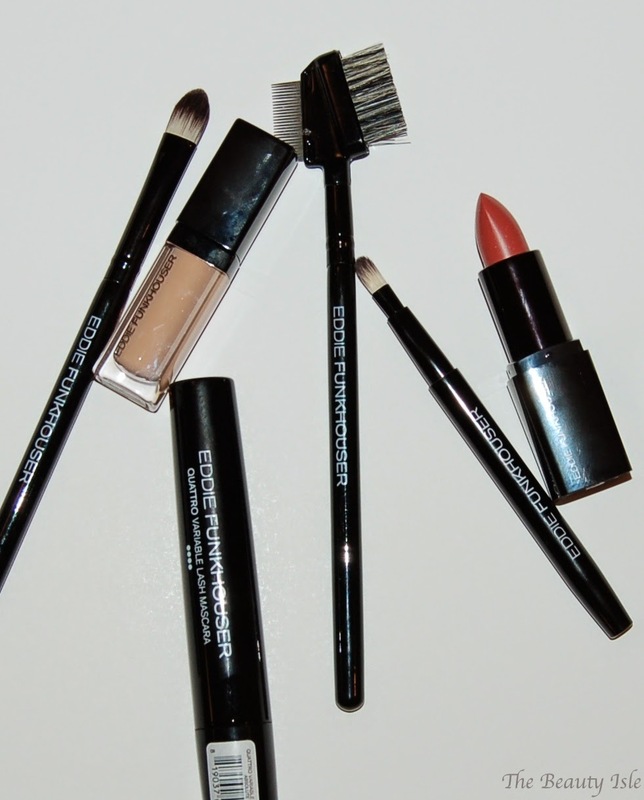 The Retractable Lip Brush is weighted so it has a nice heavy feel to it. It has a cover that you remove and place on the bottom of the brush which will cause the brush applicator to pop out. This brush is great to apply dark lip products to get a nice precise look. Everyone should have a lash comb and brow brush in their collection and this is a two-in-one. This brush is packed densely so it's pretty stiff. This is great for blending in your concealer but I prefer to use this is a flat eye shadow brush to pack product onto the lids. This concealer that does a nice job covering up my dark circles. This is the shade Light Medium. I'm loving this lipstick! 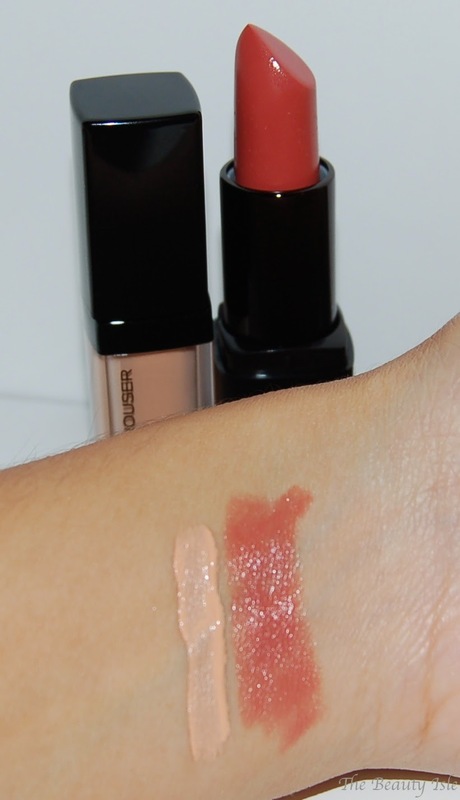 It's creamy and hydrating so it feels wonderful on the lips. 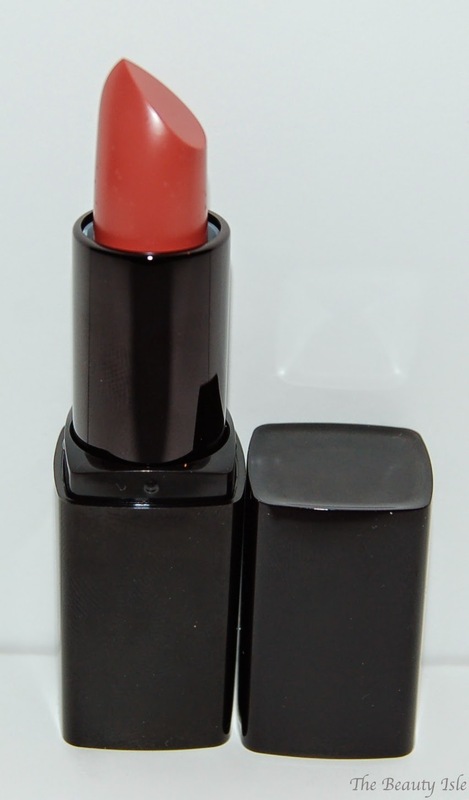 This is the shade Model Citizen which is described as a medium rose. On me, it's a gorgeous natural "my lips but better" shade. 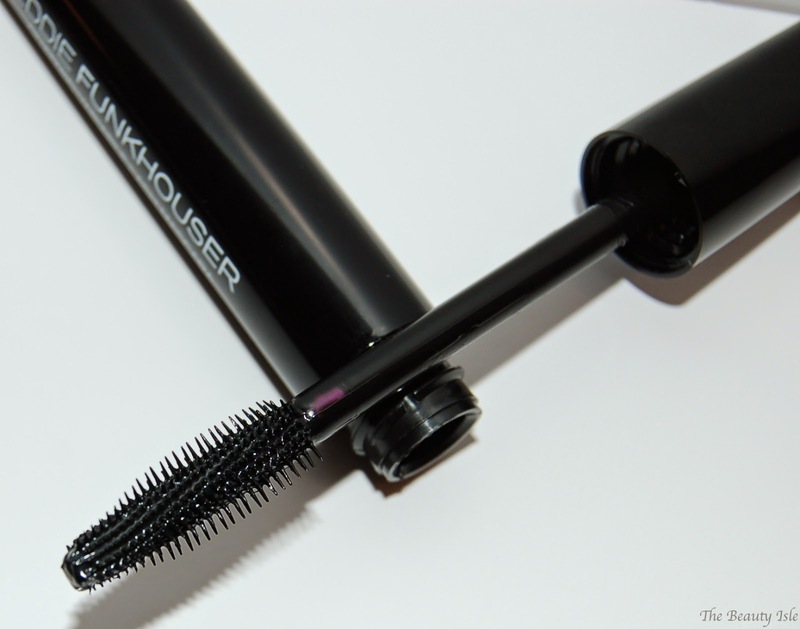 This mascara has a click dial (indicated with dots as seen in the above photo) attached to the wand. 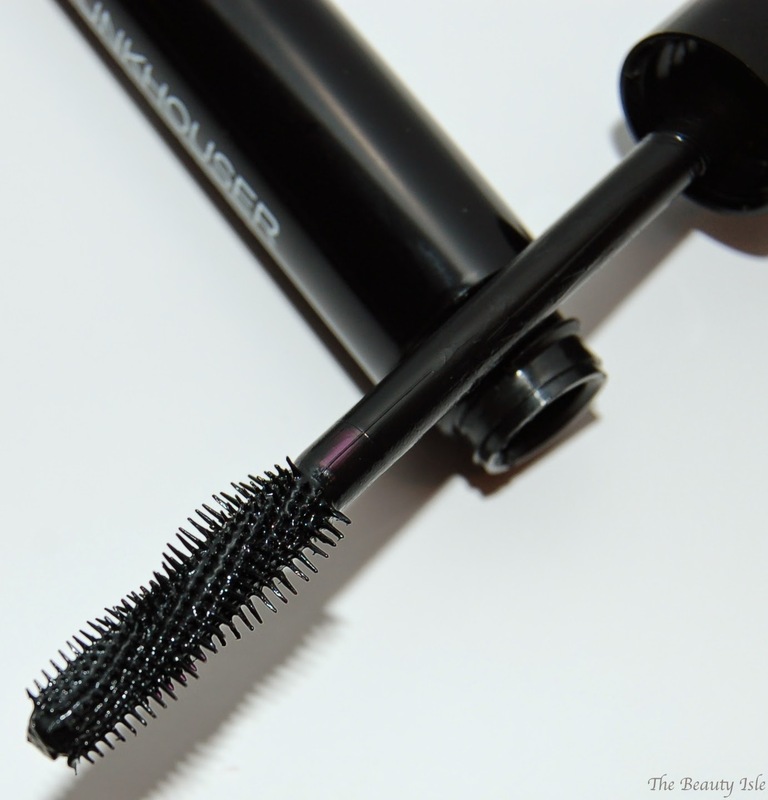 The mascara brush twist a little with each click as shown in the photos below. 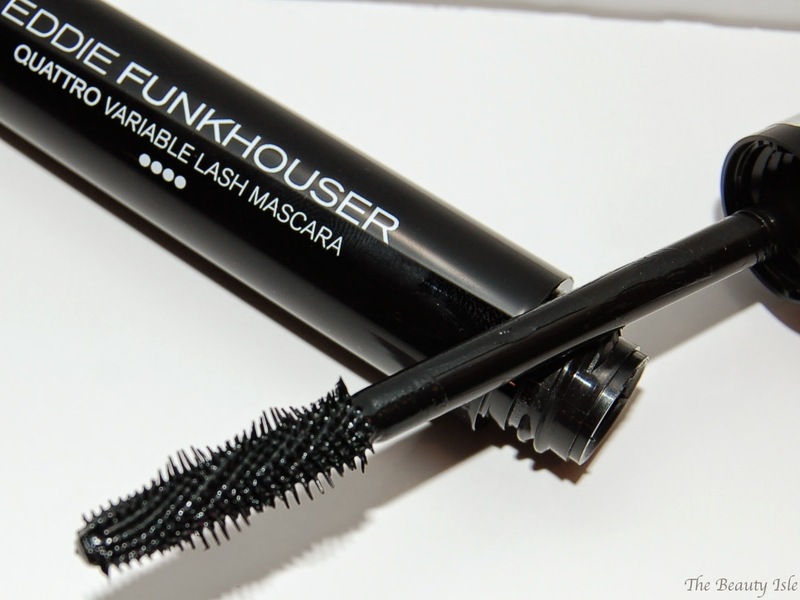 I've never used a mascara like this but it's very interesting. Eddie suggests to apply 1-2 coats setting the dial to one dot and then 1-2 coats with the dial turned to 4 dots. He says to wait for each coat to dry before applying a new coat. 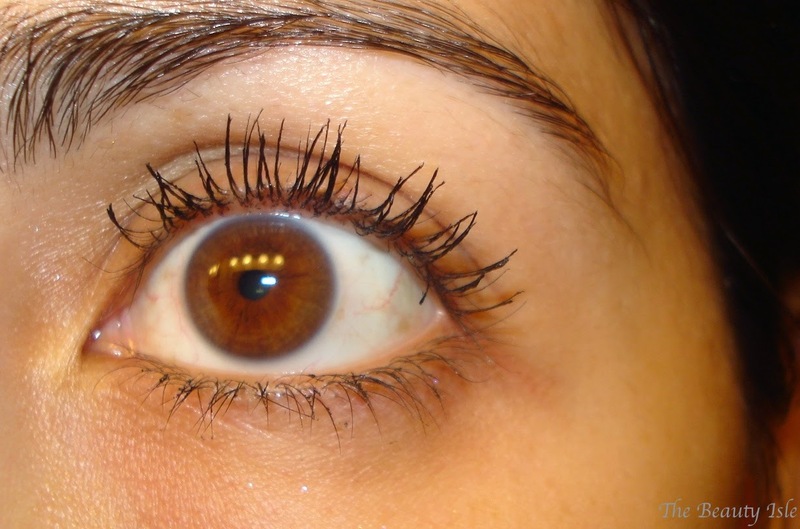 Even just using 2 coats of this mascara makes my lashes darker and longer. Two coats of this mascara at 1 click and 1 coat at the 4th click as Eddie suggests, definitely added more volume to my lashes. 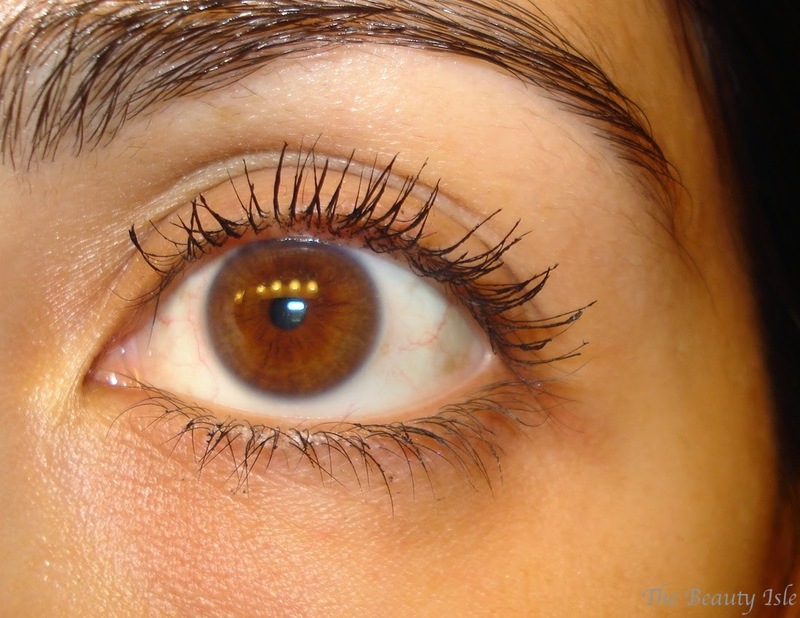 This is a really unique mascara. Giveaway ends Sunday, November 23rd at midnight. Prize is provided and shipped by Eddie Funkhouser. I am not responsible for mailing the prize. Disclaimer: I received these products for review, however all statements are 100% honest and my own.